Take note: the previous Act(s) of enfranchisement (2. and 2a. ), 2c. and 2d. to follow were made by the titled CANADA in treason, with no authorities of Her Majesty’s Law. The titled CANADA has no authority to make LAW. 2b. 38-39 Victoria, c.38 (UK) An Act to remove certain doubts with respect to the powers of Parliament of The Dominion of Canada under section 18 of the Constitution Act, 1867. This is Her Majesty’s Law, a Royal Certified Act of Her Majesty’s Parliament of Great Britain. 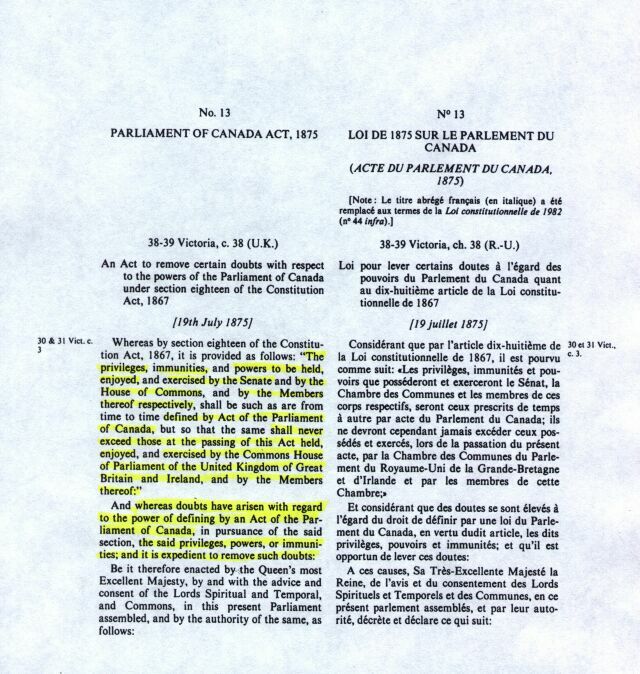 Declaring the titled, Parliament of The Dominion of Canada has no power or authority to make law. And are only authorized and empowered to enact Her Majesty’s law. 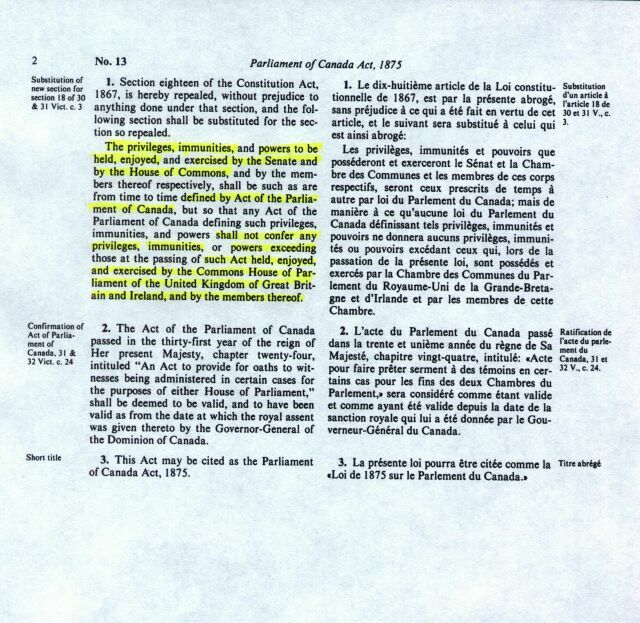 And in compliance enacted Her Majesty’s Law titled Parliament of Canada 1875. Her Majesty’s Royal Proclaimed Will and Pleasure, Treaties and enactments of Royal Certified Act(s) of the Parliament of Great Britain is Her Majesty’s Law, which is ageless, stands forever as written; can never be changed or abolished and the only Law in full force and effect for all the Commonwealth Countries.